Promoting Amazon products on your blog is a great way to monetize your content. However, when it comes to using Amazon affiliate links on your site, there are a few things you should know first. Before we start, I realize that there are some bloggers that don’t like using Amazon links on their blogs for a variety of reasons, and that’s perfectly fine. I’ve been monetizing the content on this blog using the Amazon Associates Program since 2013, and when done correctly, you can create a nice little income stream with the platform. Firstly, let me disclose that I don’t generate a huge amount of income from the Amazon Affiliates Program. In fact, each month I might see my earnings ranging from just $12 upwards to $100, so not a big deal, but every penny earned counts, right? Plus, earnings can vary greatly depending on niche or industry, which I’ll talk more about in just a second. So many products to promote, where do you start? Yes, there is a wide range of products on Amazon that you can promote on your blog, and there are a few things you need to keep in mind before you start adding those affiliate links to your blog posts and pages, especially if you’ve never promoted a single product from the Amazon marketplace before. You shouldn’t just promote anything and everything you find. When is it a good time to monetize with Amazon? A lot of factors can be taken into consideration before deciding to monetize your blog in any way. Factors include things like traffic, audience, niche, trust, and credibility, etc. 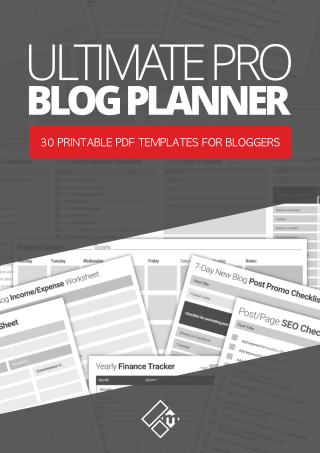 But the truth is, you can actually start monetizing your blog at any time. Recommended Reading: When is it a good time to monetize your blog? OK, so let’s get back to this post. If you’re not yet a member of the Amazon Associates program you can signup here, it’s completely free. If you already have an Amazon associates account then great. It’s time to make good use of it. Below, you’ll find a list of 10 simple, yet effective, tips for adding and using Amazon affiliate links in your blog posts. Sure, you can just add one of the many Amazon affiliate banners, or stuff your site with all the pre-made text links and native shopping blocks that are available from Amazon program, however, there are some other more profitable methods to earning income with Amazon. 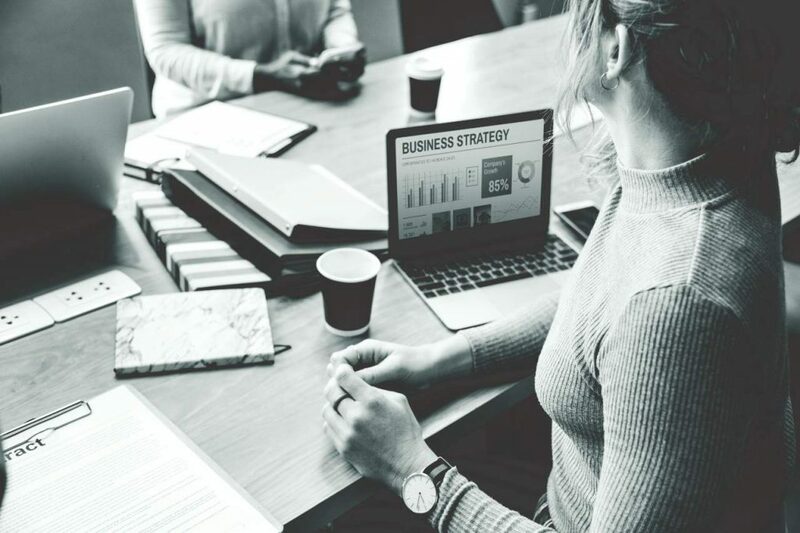 The thought of earning passive income through the affiliate program is exciting, however, the first and biggest mistake a lot of bloggers make is that they go overboard with their affiliate links. The idea is not to riddle your content pages or blog posts with lots of affiliate links that it ends up affecting user experience. The idea is to link smartly and resourcefully. So, the next question would be, how many affiliate links would be considered too many? Well, if you’re worried about your SEO, remember that Google isn’t against affiliate links. However, if you use too many in posts and pages that don’t have a huge amount of useful content, that may cause you some problems. So, the first golden rule of monetizing with Amazon affiliate links is? Don’t go overboard. Keep your affiliate links to content ratio just right. OK so this is more of a personal choice than anything else, however, my advice would be to link directly to the products on Amazon using the links provided in your member’s area. If possible, try not to use any form of link cloaking or 301 redirections for your Amazon links. Reason being is that it’s better, to be honest than appear as if you’re trying to hide your links. I use a plugin called Pretty Links to link all my other affiliate links, but with my Amazon links, I tend to leave them as they are. Simply because I want my readers to know that I’m redirecting them to a product on Amazon. Like I said, I don’t believe to deceive or mislead folks in any way just so that I can earn a small commission on whatever they happen to purchase. Google absolutely loves useful, compelling, long-form content. Agreed? They also happen to love content that is frequently kept up to date, and you’re less likely to ring any alarm bells in the spam department if you’re adding your Amazon links in a resourceful manner to your content rich blog posts and pages. If you have some thin content on your blog, perhaps a bunch of short-form articles, then there’s no real reason to add too many affiliate links in those posts. Ensure that your Amazon links are no-followed so that they don’t pass any link juice. Once again, this is also to avoid ringing any alarm bells in Google’s spam department, and to avoid any risky penalties. Leave the first paragraph of your blog posts and content pages well alone. In fact, I would recommend you leave at least the first couple of paragraphs alone. You can start adding your affiliate links from the 3rd paragraph down. 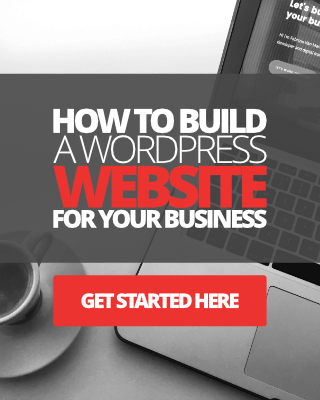 You don’t want to appear as if you’re not interested in providing any real value other than to shove an affiliate link in the faces of your blog readers. Remember what I said, link resourcefully. Put the importance of creating value before monetization. I cannot stress enough on the importance of this. Don’t just promote any old trash you find on Amazon just because you think it’s of high value and you’ll earn more commission. Instead, think about relevancy and usefulness when adding your affiliate links. Perhaps you read a book recently that you think your readers would also love to check out. Or, perhaps you bought some new hardware that you’d like to review. If you have a blog that is about fly fishing, for instance, then obviously link to fly fishing equipment, tutorial books, guides, etc. If your blog that is about personal development, again, link to things like stress management tools, self-help books, or even exercise equipment. OK, so what do I mean by this exactly? Imagine you’re writing an article on ‘how to build a model Airplane’. You then remember a book that you purchased and read from Amazon a while ago called, Aero-Model Making For Beginners – I just made that up by the way. You think to yourself, wow, that was a really useful and educational book. 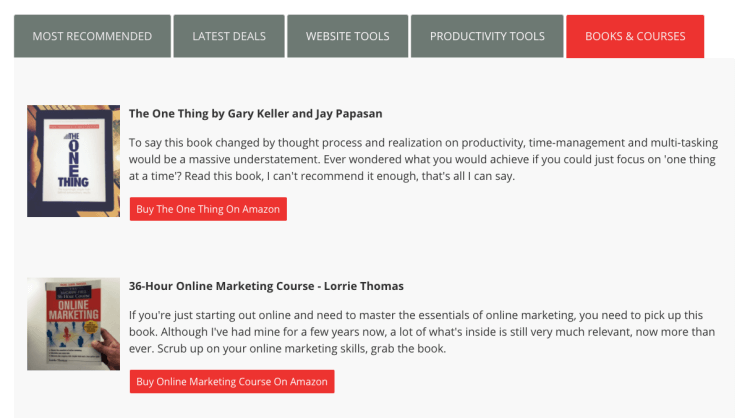 So, you can mention that book in your article and then add a link to the book itself. “By the way folks, a while ago I read a great book on building model aircrafts for beginners which really helped with with XYZ. You can find this book on Amazon here. With the above example, you would link the word “here” to the Amazon product/book. That’s what linking naturally basically means, the way humans would understand it and find it useful and actionable. Linking unnaturally would be hyperlinking every other keyword or keyphrase in your article to the book on Amazon. This is also called affiliate link stuffing. I would highly recommend using a combination of non-descriptive call-to-actions, and naked URL’s to link directly to Amazon products. Non-descriptive Call-to-action links such as “click here to find out more” or “Read more about this amazing book”, or “Check out this great book I found on Amazon” etc. If you’re planning on using images of products in your blog posts, perhaps you’re writing a detailed book review, for example, make sure those images are of high quality but still optimized for the web. You can also ‘hot link’ some of your product images to the respective Amazon products, but seriously don’t go overboard with this strategy either. Additionally, make sure you add a no-follow tag to the hot-linked images. If you have a tools and resources page on your blog, you can hotlink your images to Amazon products on this page too. Here’s a screenshot of mine below. A great strategy to help you generate more affiliate sales using Amazon is to write detailed product reviews. 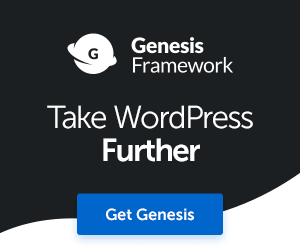 If you’re using WordPress, consider installing the Author hReview plugin for WordPress. 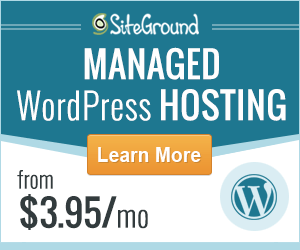 You can find this plugin on the WordPress website. 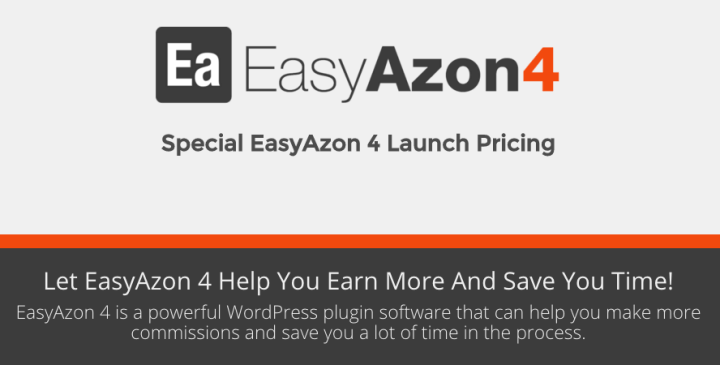 If you’re building a niche blog or website that will mostly talk about and promote products for sale on Amazon, you might also want to check out the EasyAzon 4 plugin for WordPress. This is a premium plugin, by the way, which you can learn more about here. EasyAzon has all the required built-in options and features you need to make the most of your monetization strategies with Amazon. You can read my full review of EasyAzon here. Vlogging, or using video is a powerful way to showcase, review, mention and promote Amazon products. 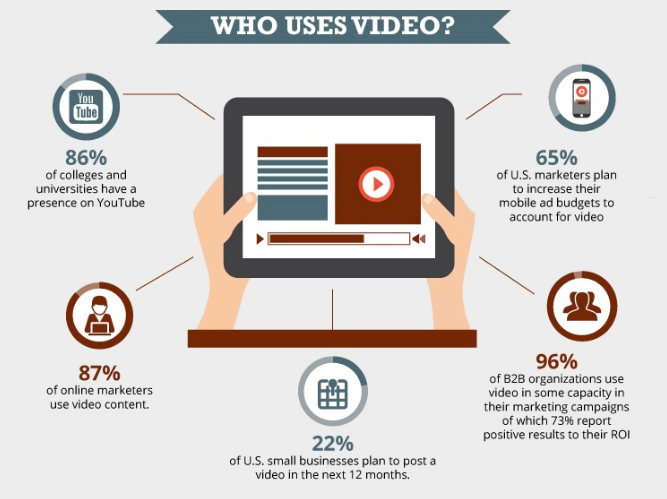 An interesting statistic is that 87% of marketers use video content Source. The visibility and level of engagement that videos can fetch are phenomenal. You should definitely consider creating some in-depth video tutorials and reviews of products and books on Amazon to embed into your blog posts. Check out my YouTube channel here to see how I use vlogging and walkthrough tutorials to talk about and promote affiliate products and services. So there you have it, a short but hopefully useful list of tips for you to keep in mind when monetizing your blog with Amazon affiliate links. Follow all of these simple steps, and you’ll create a nice stream of income from Amazon for many years to come.